1.1 When God is Good Motors was founded? 1.1.2 How to book for God is good motors online. God is good Motors is a highly reputable transport company in Nigeria thus making it have a significant number in the list of the most popular transport companies. This reputation this company has is as a result of many factors such as the modern and high tech state of its transport facilities, technological innovations, and deployment of automated processes in its daily operations. What will you say of a company that has enabled a flawless online booking portal for its full growing customer base? With its online booking facility, many travelers can easily book online from the comfort of their homes thereby avoiding the stress of going to their offices altogether. Recently, God is good motors re-strategized and rebranded to become GIGM.com. It is growing on the need for it to meet all the needs of its subsidiaries. It operates from other parts of the country with branches in 10 states of Nigeria while their Headquarter is in Benin, Edo state, Nigeria. We want to show you all you need to know about this great and innovative Nigerian Transport company as regards its online booking technology, pricing model and other locations it has a presence in Nigeria. … Are you set for this journey? Let’s go. When God is Good Motors was founded? The birth of God is Good Motors came as a family venture with Late Deacon Edwin Ajaere and his wife Mrs. Stella Ajaere being the founders. Their vision in starting this business is to build a world class transportation company that will travel between different states of Nigeria. They launched the company with a 14-seater bus that traveled from Benin to Lagos as its first journey of the company. In 1998, the Ajaere’s family began fully their transportation company with the duly registered name under God is good motors. As time went on, there was an addition of other buses and this led to the expansion of the company. ….. Late Edwin Ajaere died in March 2009. Immediately after his death, his first son Chidi Ajaere took over the helms of leadership and ownership as the group Chairman and Chief Executive Office of the transport company. Remember, we earlier told that God is good motors is one of the most popular transport companies in Nigeria. One of the factors that contribute to this is its deployment of technology in its operations. It is one of the few transport companies in Nigeria that are technologically advanced. The technology is deployed is in the online booking of transport tickets. ….With ease and comfort, you can book for your ticket from any part of Nigeria. All that you need do is to book online, make payments with your ATM cards and travel. It’s as simple as that! 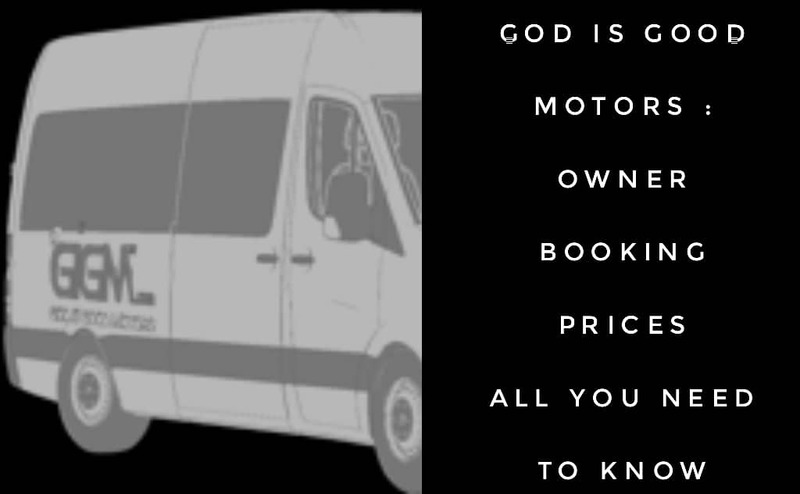 How to book for God is good motors online. Visit the God is good motors corporate website at www.GIGM.com. Create a user account from the website and then log in. Alternatively, you can download their mobile app directly to your phone from android play store or iOS platform. Launch the app from your phone. Fill out all necessary details. The details that are important are – your state of departure, the nearest terminal for departure, destination Terminal, Number of Tickets. After you have filled all these details, click on the “Book Now” icon on the website or mobile app. On the succeeding page, tab on the “View seats” button close to your selected bus and departure time. Choice your desired seat and click on “Continue” Fill your personal details and also your next of kin details. Click on “Terms and Conditions” to view it. Select your preferred payment method depending on the kind of cards with you. Select your appropriate card type and supply all needed card details accurately. After you must have done the outlined steps above, click on the “Pay” button. It will finalize your booking process…..
You will receive an SMS and email from God is good motors as a confirmation for a successful booking. With its bus hire service, you have a wide range of options to pick from. It has a large fleet of sound vehicles that will deliver great values to you. GIGM.com has bus terminals operating in four out of the six geopolitical zones of Nigeria but it has coverage for all zones with its bus hire services. That means you can use its bus hire service for any part of Nigeria. The GIG group also provides courier services for the teeming Nigerian population. It does this through its sister company known as the GIG Logistics. Its Courier services cater to the local, domestic, corporate and international delivery needs of its customers. Their head office is at 1 Wole Ariyo Street, Lekki Phase 1, Lagos, Nigeria. No 5, Asa road, formerly old Nitel Building, Aba. Benin Auchi road, Ekpoma, Opposite grail center. Asaba – Onitsha Expressway, by Head-Bridge. 7, Market Road, Opposite State Library, Holy Ghost Park, Ogui, Enugu State. 164, Lagos-Abeokuta Expressway, Besides Diamond Bank, Lagos. 228 Aba Road By Bori Camp, Just after INEC Office, Port Harcourt, River State.